Before the state finalizes a decision next week that would slash payments for a therapy program for the poor, speech and physical therapists are fighting back, saying the impending budget cuts will harm thousands of children. Before the state finalizes a decision next week that would slash payments for a therapy program for the poor, speech and physical therapists are fighting back, saying the impending budget cuts will harm thousands of children with disabilities. But behind the publicity campaign lobbyists, advocacy groups and some lawmakers are waging against the cuts, a more private battle is taking place — this one among providers themselves. The question is who will shoulder the bulk of the cuts to the increasingly expensive program, which the state says is contributing to spiraling Medicaid costs. And it’s pitting outpatient rehabilitation facilities, where parents bring children to receive services, against home health agencies, which send therapists to patients’ homes. Facility owners say the cuts would unfairly target their businesses. Medicaid spending on facilities increased 5 percent — from $180 million to $188 million — between 2009 and 2013, the most recent year for which data was available. By comparison, state spending on home health agencies grew more than 230 percent in that time period — from $99 million to $328 million. “The last six to eight years, [outpatient facility] owners have carried the burden of all the rate cuts,” said Brian Schick, president of the Alight Pediatric Therapy Clinic in San Antonio and New Braunfels. Schick said facilities have had their rates slashed roughly 13 percent by the Legislature over that time period, while home health agencies have had their payments cut by about 3.5 percent. “What’s happened over the last two, three bienniums is the Legislature comes in and says, ‘Cut, cut, cut, we need to save money,’" Schick added, "and you’ve got a lobbying group,” the Texas Association for Home Care and Hospice, “who somehow goes out there and finagles all the rate cuts to be directed at one model." But comparing the two industries' rate cuts is not "apples to apples," said Rachel Hammon, executive director of the Texas Association for Home Care and Hospice, because the two models provide different services and see patients with different needs. Her organization is asking the state's health commission to phase in payment cuts at a more gradual pace, and to apply rate reductions equally across all provider types. Home health agencies have rallied support against the cuts with an aggressive public relations campaign, saying their industry will face an average 20 percent reduction in revenue. That, they say, will lead businesses to close — and could leave as many as 60,000 severely disabled children without access to medically necessary services in their homes. 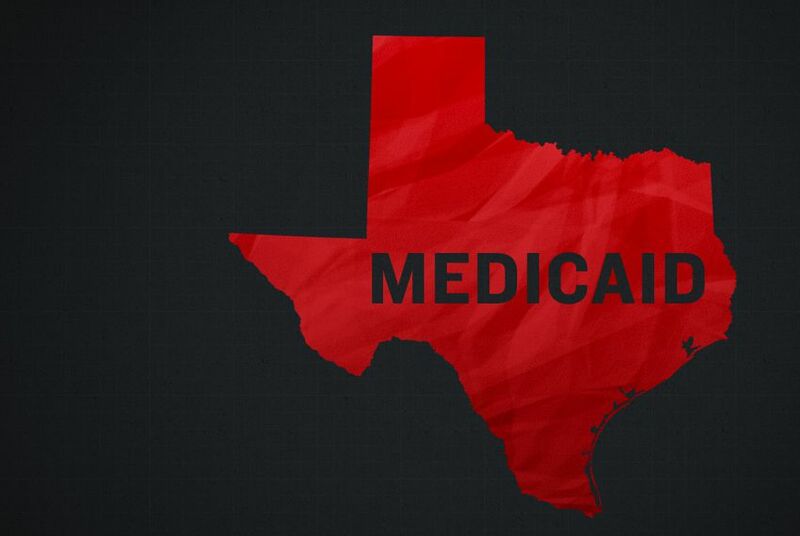 The number of Medicaid patients receiving therapy services, whether at home or in a facility, has increased nearly 40 percent since 2009, from roughly 170,000 to 240,000 Texans. But costs have grown at an even faster clip, rising 65 percent over the same time period — an obvious target for fiscally conservative lawmakers looking to trim fat from the state budget. The state commissioned a study that found Texas paid up to three times as much for therapy services as other states, but therapy providers dispute those findings. Legislators this year directed Medicaid, the state’s insurance program for the poor and disabled, to cut roughly $260 million in payments to the therapy program over the next two years and to find another $130 million in savings from “medical policy reductions.” Combined, that’s a 28 percent reduction to the therapy program’s current two-year budget of about $1.4 billion. The number of Medicaid beneficiaries who got speech, physical or occupational therapy services from a home health provider grew from about 16,000 in 2009 to 47,000 in 2013, according to the health commission. Bill Noble, a spokesman for the home care lobby, said the state “really can’t explain” the spike in growth in home health spending without further study. He noted that many of the increased payments were filed by the state under a geographic code used to indicate an “unknown county of residence” for a client — meaning it's hard to pinpoint where the areas of extreme growth are. Enrique Marquez, a spokesman for the health commission, said most of the unknown counties were in a data set that the state is "working to clean." Representatives for home health agencies say there is no evidence to suggest that the increased Medicaid spending has gone toward anything other than medically necessary services. Hammon said home health services require a doctor’s referral and are crucial to helping children with disabilities lead a healthy life. And it’s not just providers who are concerned about the budget cuts. Advocates for children say cuts to home health care could harm state programs for children with profound disabilities like the Early Childhood Intervention initiative. The program provided comprehensive services to about 50,000 children in 2014. “We want to make sure that through these cuts we’re not reducing critical access to these kids with developmental disabilities,” said Alice Bufkin, a policy associate for the advocacy group Texans Care for Children. For Drew Abbe, a meter technician for the city of Georgetown, Medicaid payments for home health services have helped his 2-year-old son Dean begin saying — and signing — his first words, after being born prematurely and undergoing a tracheotomy on his windpipe. Dean’s identical twin brother died just six days after birth. Disclosure: The Texas Association for Home Care and Hospice was a corporate sponsor of The Texas Tribune in 2011. A complete list of Tribune donors and sponsors can be viewed here.